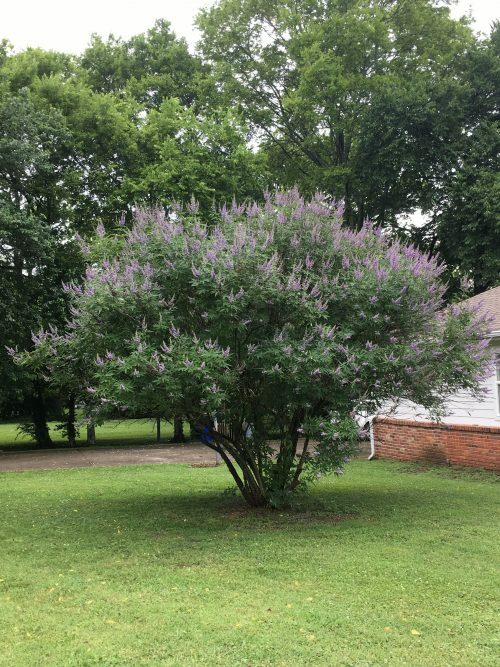 What is killing my Bee Trees? 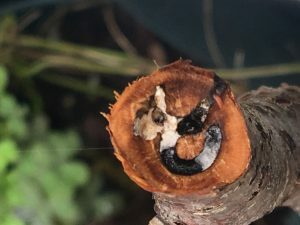 What is killing my Bee Trees is a question we get from time to time. The answer varies considerably from species to species so, I will try to cover some of the more prevalent causes. There are a number of insects and diseases that are common to trees in North America. Some are species specific and others are generalists that attack anything under stress. The following descriptions are not restricted to Bee Trees but apply to most common lawn trees. Before treating anything, get a diagnosis from your states Extension Service. Treating with the wrong product can actually cause more harm than good. 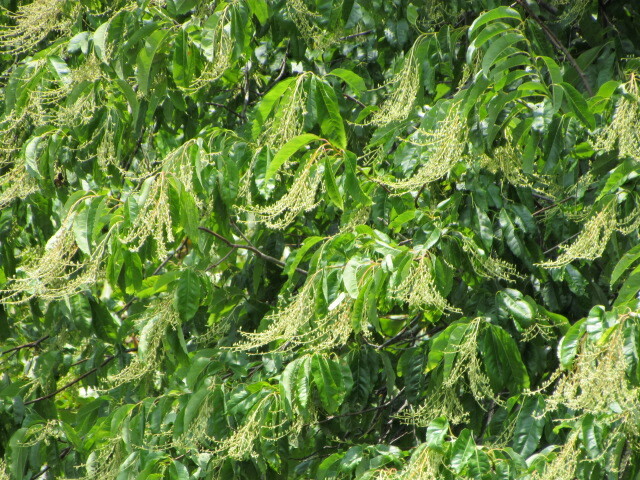 The Korean BeeBee Tree- Evodia daniellii or Tetradium daniellii is a much desired tree by beekeepers for its productive flowers. 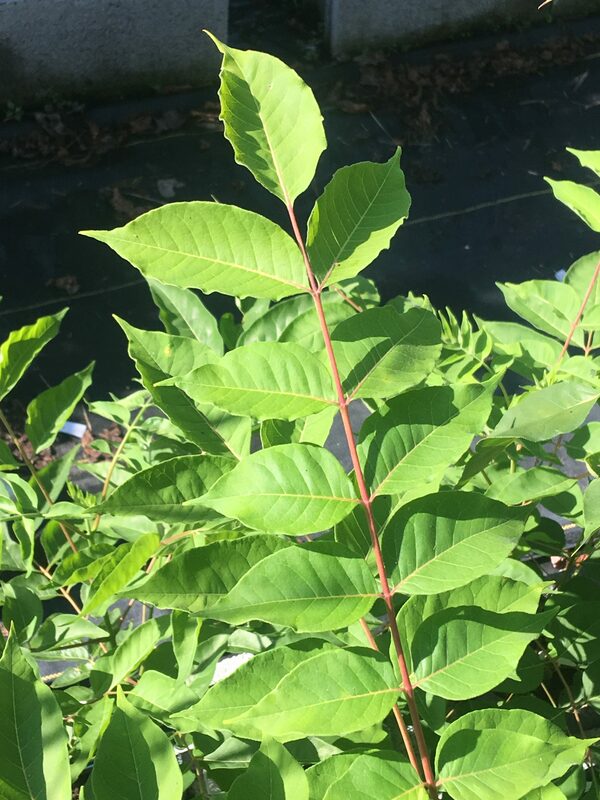 This tree has been around for many years but has never been popular in the nursery trade possibly because it is so attractive to bees but more likely because there are so many well known trees already available. 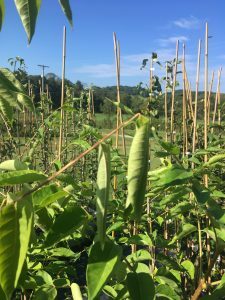 This scarcity means there is not much known about the culture of growing these trees. 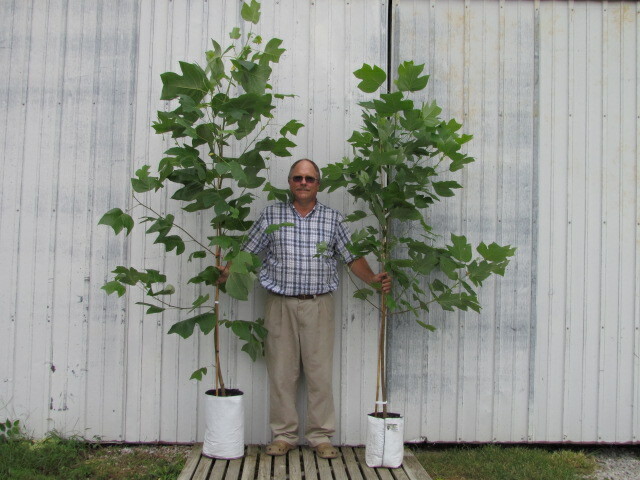 There is little research into actual practice of making them grow into healthy productive trees. 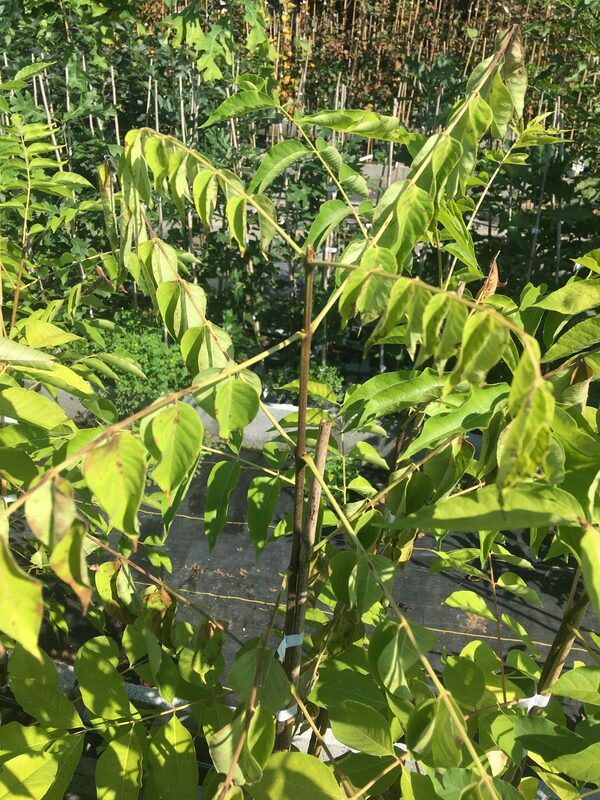 Having grown BeeBee Trees for several years now in the nursery we have had reach out to our State and USDA plant services to diagnose some of the diseases to which they are are susceptible. We just this summer (2018) have had diagnosed what was suddenly killing some of our trees. We sent samples off and they were diagnosed with rhizoctonia and our USDA Research Station recommended a solution. There is a soil born fungus called Rhizoctonia that attacks the roots and the bark at the base of the tree. This is the same fungus that causes Damping Off of young transplants in the vegetable garden and flower beds. Rhizoctonia is basically everywhere but only causes disease when conditions are right for infection. Plant stress is the biggest issue with infection. Damaged roots at transplant ( which cannot be entirely avoided), drought stress, and too much water are all factors that can lead to infection. This disease is not always fatal but will decrease vigor and overall growth. From what I have heard from customers, the trees seem most susceptible the first few years. Older trees seem to be able to resist catastrophic infection. The solution for Rhizoctonia, as recommended by our extension service here in Tennessee is a fungicide soil drench of Thiophatate Methyl. This fungicide is available through several brands, Banrot, Greenlight, Fertilome, Scotts and Bonide to name a few. Follow the directions exactly and if follow up applications are recommended then do them to stop later reinfection. Check with your state Extension Service for recommended products as not all states allow all products. 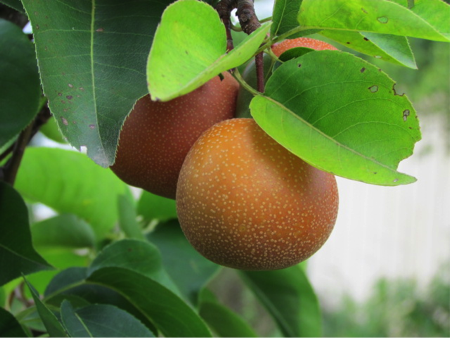 The BeeBee Tree is not the only tree susceptible to Rhizocontia and there are other soil fungi that affect other trees. Many garden plants can be killed by this fungus as well. 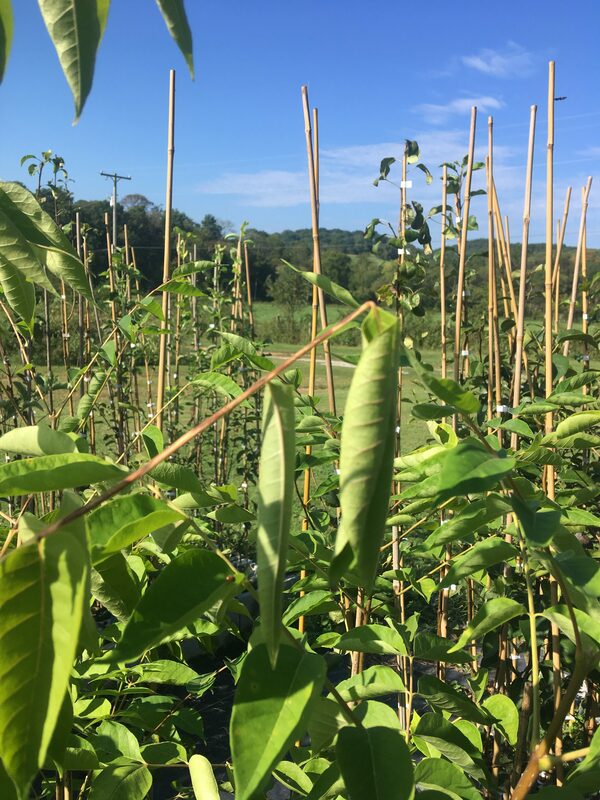 Other pests we have seen are Ambrosia Beetle, Leafhoppers and Giant Swallowtail Caterpillars. Leafhoppers and Aphids feed on the sap in the leaves which causes yellowing ang brown leaf tips. Leafhoppers also spread plant viruses that can cause leaf distortions. Several common pesticides, some organic ones, will take care of Leafhoppers. Aphids exude honeydew which bees actually feed on during the summer months. 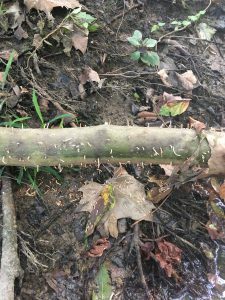 There are several tip borer moths that can kill the growing tips of new growth in spring. They generally do not cause permanent harm to the tree but, may require some pruning and retraining of a leader in the tree. 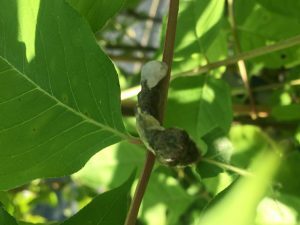 I don’t consider Giant Swallowtail Caterpillars to be a pest but where they live, you will see their larvae on youe BeeBee Tree. Many moth and butterfly larvae feed on our native trees. We try to leave these alone unless they are causing serious damage. Then there are leaf fungi. Powdery Mildew, Anthracnose, Leaf Blights and others. A light infection won’t hurt much but, in a rainy year, leaf fungi can defoliate a tree. As Beekeepers we are hesitant to use pesticides and fungicides on our Bee Trees and are well aware that they should not be used when Bees are present on our trees. On young, non blooming trees, judicious use of necessary sprays can help our trees to grow more rapidly and mature sooner so our bees can have the nectar and pollen they need. Also remember that organic remedies are poisons too and improperly used can kill your bees as well as commercial products. This article is not meant as a diagnosis of what is happening to your trees. This is about what we have found here in Tennessee. Diseases vary by region and what causes trouble where you are may be very different from what causes problems here. Use your states Extension Service to diagnose and make recommendations for remedies. They are the local experts. Always, ALWAYS! follow the directions on the package. This is never a case where if a little is good a lot must be better. Improperly applied, pesticides and fungicides can harm you and can harm the plants they are applied to. Wear appropriate protective clothing and of course, be sure your bees are not active on the plants being sprayed.